2019 Here We Come Take a look at some of our 2019 fixture highlights. The 2019 Toyota AFL Premiership Season Fixture has been released, headlined by a series of blockbuster home matches for the Bulldogs. The Western Bulldogs will host a series of blockbuster home games against some of the AFL’s biggest clubs in the 2019 home-and-away season. The 2019 fixture was released today, which sees five of the Dogs’ 11 home fixtures against high-drawing Victorian opposition, including Collingwood, Richmond, Melbourne, Geelong and Carlton. Overall, the Bulldogs will play more games on Sundays and less on Fridays. The fixture includes just one Friday night match for the year (three fewer than the previous season) - a blockbuster MCG away clash with the Magpies in Round 4. The Bulldogs will also play three more games on Sundays next year (10 in total), and has increased its presence in the Saturday night slot (seven matches, up from five in 2018). Having finished in 13th place on the ladder, the Club will face only one team who finished in the top six in 2018 twice (Collingwood), and will double-up against three of the bottom six (Fremantle, Carlton and Brisbane). It will travel interstate only five times (less than the AFL average), including twice to Perth’s Optus Stadium. The Bulldogs will host their opening round fixture for the first time in three seasons, playing host to the Sydney Swans in the AFL launch of the recently rebranded Marvel Stadium. The Club’s first five games of the season are in Melbourne – three at Marvel Stadium and two at the MCG, and the bye comes in Round 12. As released on Tuesday, the Bulldogs’ two matches in Ballarat at Mars Stadium will come in Round 8 (against Brisbane) and in Round 23 (against Adelaide). 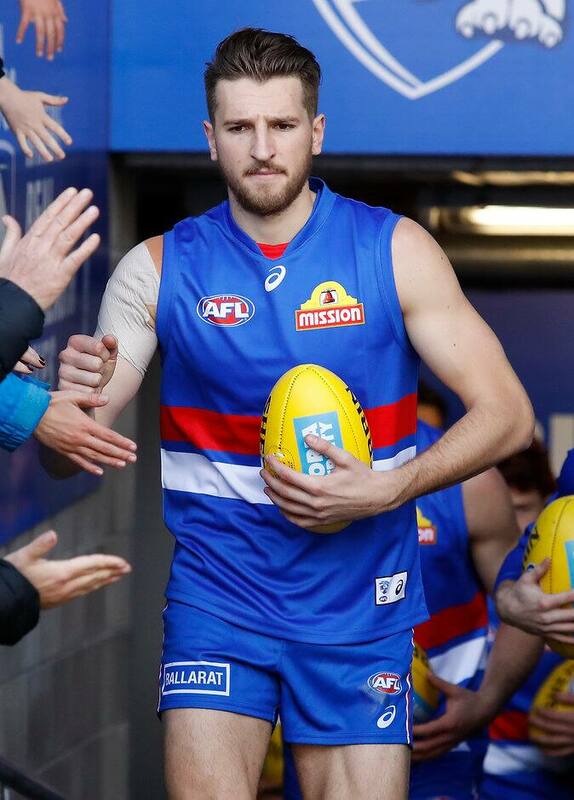 The Dogs again missed out on being involved in Good Friday football, after successfully launching the concept in 2017 alongside North Melbourne. The Kangaroos have been drawn to play Essendon in the 2019 match. The Club has an even split of televised games, with 10 scheduled for free-to-air on Channel 7 and 11 on Fox Footy, with details for the AFL’s final round floating fixture to be determined.